How to Get Rid of Cockroaches? Cockroaches are the most common pest in the world. They can carry bacteria and germs that may cause you skin infection or disease. Roaches can be attracted to your home for different reasons but mainly they come for food and water. They are also attracted to dirt and waste product in the house. Once roaches have entered into your house, they can grow in numbers quickly. There are many over the counter chemicals are available in the market to kill roaches but these chemicals may have a bad impact on the health of your family. Use below natural home remedy to get rid of roaches in House / Apartment without an exterminator. Before killing roaches you should know about their species and size that will make the killing process easy. There are mainly three types of roaches’ American, German and Oriental roaches. The size of a cockroach can be between .5 to 3 inches. German roaches entered your house because of the water. Not cleaning house proper or poor domestic hygiene. Cockroaches are very resilient pests. A cockroach can attract other cockroaches. Cockroaches are a very common pest problem. There are many over the counter chemical available to get rid of roaches but they can have bad effects on your health. So try home remedies for removal of cockroaches from the house. Borax is one of the best ways to rid of roaches. It dehydrates the roaches and kills them by weakening their digestive system. This home remedy is not safe for kids and pet. So you can avoid this remedy if you have kids and pets. You can apply the borax powder around gaps and holes in the house. Alternatively, you can mix borax with sugar and some water to make a thick paste. Cockroaches are attracted to sugar. They will eat this remedy and will die because of dehydration. Repeat this remedy until you get rid of cockroaches completely. Baking soda is another very effective home remedy to kill roaches. It will not kill roaches instantly but it will surely remove roaches from the house within two weeks. Make a paste of baking soda, sugar, and water. Keep this mixture at cockroach accessible area in the house. Repeat this remedy until all the roaches are gone. This is the best natural way to protect your house from roaches because they just hate the bay leaves smell. This natural roach repellent is not harmful to human so you can place it anywhere you like. Make a fine powder of handful of bay leaves. Now sprinkle the powder around the roaches’ nest or roaches accessible area. Another simple natural remedy to keep roaches out of the house. Lemon has anti-pathogenic which helps to keep cockroaches away from the home. Take fresh lemon juice and spray around the corner of the house where you know a cockroach can reside. Alternatively, you can keep lemon peel at cockroaches’ accessible area in the house. Neem is also known as Indian lilac which is a wonderful cockroach repellent home remedy. It is safe for human and cheaper than other cockroach repellent chemical available in the market. Take one-liter water and mix with 2 tablespoons of neem oil. Now with help of spray bottle sprinkle this mixture on cockroach affected area of the house. You can use neem powder to sprinkle at cockroaches affected area. Listerine is best known for mouthwash but it can wash out cockroach from your house as well. This remedy will take some time to get rid of a cockroach. Mix Listerine with water and sprinkle around the corner of the bathroom or kitchen in your house or apartment. Repeat this remedy until you get rid of cockroach completely. Moth balls are very good natural home remedy to keep cockroach away from your apartment or house. It is not good for human so keep it out of reach from your children. Keep moth balls in a cupboard or near cockroach nest or area which is easily accessible to a cockroach. Another wonderful natural cockroach repellent to Get Rid of American Cockroaches. This essential oil is very effective against American and German roaches. Mix 10 drops of kaffir lime essential oil in 2 cups of water and keep it in a spray bottle. Now sprinkle this mixture with the help of spray bottle around roaches affected area of your house. Garlic clove is good natural roaches repellent which is very fast in getting to Get Rid of German Roaches. Roaches run away from clove because of its odor. Take a garlic clove and peel off the skin. Keep the garlic clove at affected or cockroach accessible area. Replace garlic clove in 2 days until you get rid of roaches. Catnip contains a chemical which works as roaches repellent. Prepare catnip tea and spray on the affected area will help you get rid of cockroaches fast. Take one ounce of catnip leaves and 2 cups of hot water. Let catnip leaves steep in hot water for 5 minutes. Then strain the mixture and keep it in a spray bottle. Now spray the mixture on the affected area or when you know cockroach may be present. Cockroach mainly enters your house in search of food and water. 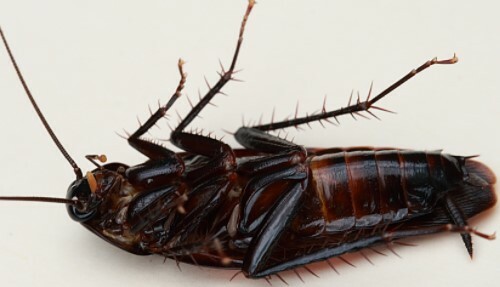 If you cut the water supply and keep your house clean may decrease the chance of getting a cockroach in your house. Clean your house daily by vacuuming and keep checking your furniture, walls, cabinets, cupboards, etc. Remove all the wastage and clutter from the house. Keep your kitchen clean and don’t leave food open or in the dustbin. Try to wash all the washable area in the house including sink daily. Fill all the holes or place which are dark and hard to reach keep occupied with something else. Keep your food in a closed container. Block if there is any leakage of water in the house. Keep checking your book shelve or drawers. Cockroaches are very common pest which entered the house in search of water and food. Roaches are attracted to a dark place, moist place, food, water etc. 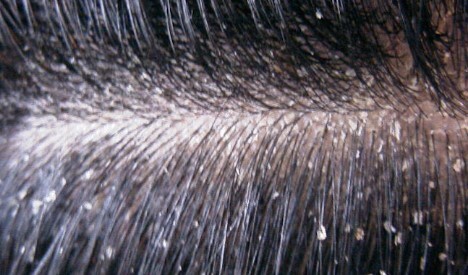 Cockroach in the house can cause many diseases and skin infection. There are so many products are available in the market for cockroach removal from the house. Which may have some side effects on your family. Try above home remedy to get rid of roaches from your house or apartments. If you have any other home remedy which we forget mention write in the comment box below.